The great smartwatch wars are about to begin. If the team at Apple weren’t fazed by the news that Fitbit is launching their own smart watch at the end of the year, they should be now. 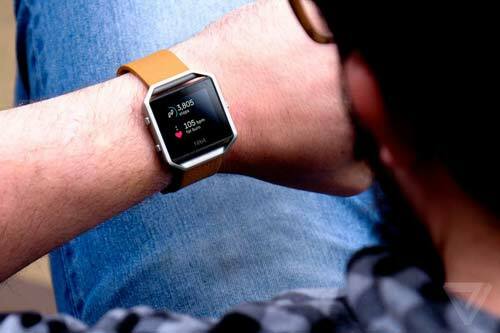 James Parker, CEO of Fitbit, recently confirmed that their smart watch would be running its own app platform powered by Pebble software assets. Pebble is a smart watch technology developer company acquired by Fitbit in 2016. Packer described the platform as an “app gallery” instead of a conventional app store, though he provided no further clarifications on what exactly that term entails. He also did not provide a specific launch date for the smart watch nor divulge what apps will be available. The only thing that’s certain is that music will be a key function of the watch. “Music is a really important part of the fitness experience, and you’ll see functionality related to that,” Parker said. Since the Fitbit is first and foremost a fitness device, it wouldn’t be far off to assume that most of the apps on the smart watch will be specifically designed or chosen to enhance users’ workout experience. While the Apple Watch is often used as a fitness tracker, it is not its main function, with many having to complement its use with another fitness accessory to get the most out of the device. It’ll be interesting to see if/how the Fitbit smart watch fills these gaps.